Children can be just plain creepy at times and it would seem more than a few parents have decided to share their stories. As of this morning after the thread was started yesterday there where 10815 comments. Had to check on him a few times to make sure he was still there. Tom-Zarek recounted a disturbing tale from his own childhood. When he was three years old, his cat had given birth to still born kittens. “I asked my father if we could make crosses for them, which we did. I personally can’t remember being, “creepy” other than the usual stunts with bugs and such. However I remember a few strange children and school until today I never gave much thought to their home life. I guess in our formative years our view on life and the world around us may be a bit slanted. We were having roast chicken for dinner. Son (3) has lightbulb moment. Holds up chicken skin. “When we say ‘chicken skin’, is this really the skin of the chicken? Like my skin?” Next day after some Sonday nappage we play cars. I see a fresh scar on his foot. Straight line with a little dry blood. Ask the little sir about it: “I cut myself. I took a knife because I wanted to see what my meat looks like under my skin but it hurt a little so I stopped. I still don’t know.” Good thing he didn’t want to see his sister’s flesh! Well world if you have younglings, you may want to sleep with one eye open. 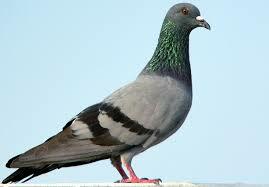 “City considers birth control for pigeons”. It made me really take pause and wonder where do we draw the line between humane and insane. were on any endangered lists. The only good I have seen come of them is as a food source for the local hawk population. cockroach of the bird kingdom. I may be bias as I have had my own issues with them over the years. “It always sounds like such a silly thing, but council is concerned about pigeon faeces and all the complaints we get,” said Trail city councillor Robert Caccioni. “They get to have all the fun but no babies,” Caccioni said. So there I sit with some vision of some guy running around on the tax payers dime chasing the darn critters with a box of pills. Then I consider the cost of just putting them down. Would that endanger the species? I am sure that it would be a lot more cost effective.